7869 Interstate 20 S Access Rd. We have been guests here at Wagon Train since October 2018. From the very start the owners have been super friendly, helpful and keep us informed of everything going on in the park. We full time in our motor home and looked at several places in the Canton/Athens area before deciding on Wagon Train. This is, by far, the cleanest and well kept park we found. Even though it is right on I-20, the traffic noise is minimal. The rates are reasonable, the laundry facilities clean and well kept and everyone we have met has been super nice. Whether you need to stay for one day or need a full time resting spot, Wagon Train is worth a look. This small RV Park has convenient highway access. The owners are super nice and helpful. The park is neat and clean, it’s obvious they put a lot of effort into upkeep. They are currently expanding with more spaces which is good news. We only stayed overnight and didn’t use the restroom or laundry but both looked clean and maintained outside. Lots of room to walk the dogs. We definitely will stop here again! 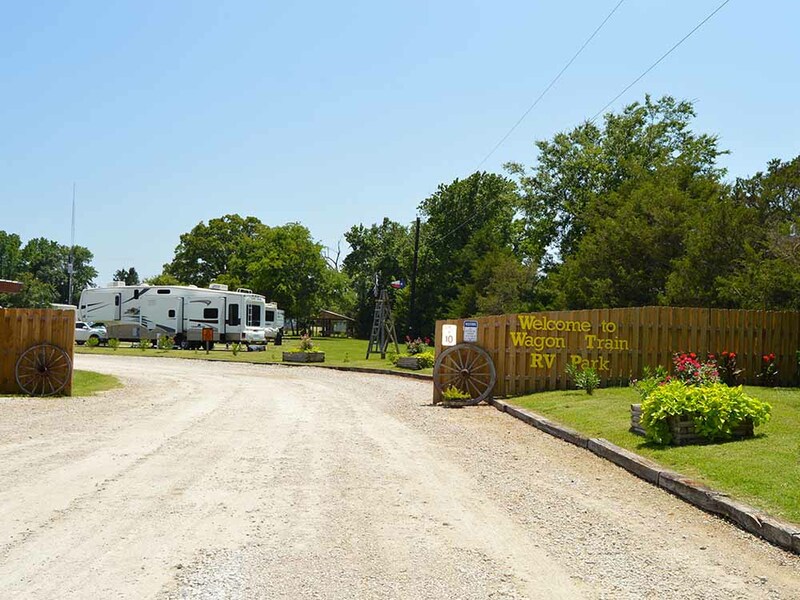 The biggest issue with this campground is the address, we spent over 1 hour looking for this campground in the night and then found out the only place to find this address is on their website address is 7869 Luckett Lane, Canton, tx. They should fix this or at least forewarn people when they call. campground over all is nice, bathrooms are very clean. Also they should put a light on their sign to see from I-20, that would make it a lot easier.